This video covers how to identify gaps in your market where your video content can thrive. We call this finding your niche. It’s tempting to follow formulas, especially when you’re doing something new and exciting like video. While it's a good idea to learn from what’s worked in the past, for yourself and for others, if you only copy what’s been successful before you’ll never differentiate yourself from the competition. I’m going to guide you through finding and securing your video niche in 5 simple steps. After watching this video you'll know how to offer your target audience something that resonates with them and which is unique in the market place. A quick caveat: making unique video content is most important at the beginning of the buyer’s journey. That’s where your audience are first discovering their problem and how you can help them fix it. Generally, this is where there's lots of content competition, so it is essential that you differentiate yourself. Further along the journey your audience are more familiar with you, and there’s less content trying to grab their attention. But don’t rest on your laurels, because the amount of video throughout the buyer’s journey is only increasing. 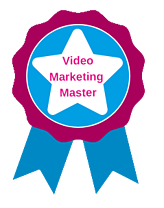 Now is the time to get ahead of your competitors and create excellent videos at all stages of the funnel. So, to make your brand stand out with video content, here’s what you need to do. The first step in finding your niche is to assess your own content to see what’s worked and what you’re good at. This should include your previous video content, but look beyond video as well, to blog posts, whitepapers, infographics, and all your content marketing. What’s resonating with your audience? What are they demanding more of? And what’s giving you the best return on investment? If you have a lot of video content, we recommend a video audit. If this is something you want some guidance on, take a look at our blog post on how to run an audit and free template. No matter what method you use, the aim is to uncover trends in your best content. For example, your best lead generation blog posts might weigh up different IT tools and make suggestions about which ones to use. Or your comprehensive ebooks about data management might be the most shared by business owners. You can measure the success of your content through awareness, lead generation, and social sharing — it all depends on your specific content marketing goals. Now you know what you do well, it’s time to uncover where your competitors have found success. This means researching the kinds of content others in your industry or market are creating. Again, look across a whole range of media, not just video. Finding data on your competitor’s content can be hard, but get what you can: generally social shares, keyword rankings and backlinks aren’t too tricky to find. You can use tools like Buzzsumo and SEMRush for this. But don’t just find out which content is successful — work out why. If a competitor creates infographics that get hundreds of shares and comments from your target audience, work out what they’re offering that’s so powerful. Are they giving away fresh research? Are they illustrating a point that your audience never considered before? The more you learn at this stage, the more insights you’ll have into what your audience finds valuable — which you can translate into super-effective video. This is a stage many people overlook, but it’s perhaps the most important. Now you need to go past the competition to more general content trends that your audience are engaging with. It’s not true that you’re only battling your competitors for your audience’s attention. There are a million other things they could be doing — watching Netflix, browsing YouTube, reading a magazine. And this is true for B2B just as much as it is for B2C. Even in a work setting your audience aren’t focused solely on sales content — they educate themselves and engage with publishers too. So what other kinds of content does your audience enjoy? What’s sweeping through the market at the moment? You might discover that most IT managers right now love tech podcasts. This tells you something very important about what your audience enjoy, and what they’ll value in your own video content. Now it’s time to take all the content you’ve found, and slice it up: by medium, stages of the funnel, segments of your audience, and topics. Your aim is to identify gaps in the market. Is there any kind of content that isn’t currently being offered? This might be a very niche, specific kind of content, but that’s fine. If you’re in a competitive market it’s likely to be that way. As well as gaps, find places where you can improve on what’s already out there. For instance, a competitor might have created a video series about tech in IT, but it might be poorly shot with a bland presenter and thin information. This is an opportunity for you to create something more professional and engaging, especially if your competitor’s content has already found success. In this final step you should set out your video USP — the qualities that all your video content will share to differentiate you from the competition. Think about what makes your brand unique and what you can offer your audience that nobody else does. For example, you might decide that your video USP should be consistently useful information with a tech focus and a fun, light approach. If these elements are appealing to your target audience and allow you to stand out from others in the market, you’re onto a winner. So there you go. With some solid market research you can position your video content as unique and valuable for your audience — to hook them, engage them, and move them down your marketing funnel.